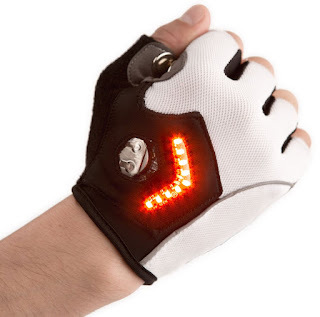 What do you think of this LED Turn Signal Cycling Gloves? Latest, must-have safety innovation for cyclists. Simply press your thumb to your index finger to activate your LED blinker. Designed in California by a former Google Engineer, Zackees Turn Signal Gloves make it easy to communicate with cars. Put the power of signals in your hands! BONUS QUESTION! Who has the best price? Usually it's the US Amazon site, today it is the Canadian site!